A study of the experiences of children from the Calais 'jungle', now claiming asylum in the North West of England, shows why we must speak up for the rights of refugees. The children in this study have all been in the transit camp in Calais – the caricatured ‘jungle’– living with up to 10,000 other people. They are all now dealing with the arbitrary bureaucracy of the Home Office, trying to make their asylum claims in the UK. Photo credit: Press Association/Chris Radburn. All rights reserved. Although they have different accents, clothes, haircuts and skin tones the children have something in common. They have come to the UK to claim asylum and they have walked through the door to meet their legal representative - someone who will work with them to try and make sense of the letters, the appointments, the officials and the uncertainty. The lack of legal routes to claim asylum in the UK has left them traumatised not just by the experiences that caused them to flee their counties of origin, but by Europe’s collective inability to provide them safe passage. We studied the experiences of 40 children we represent who had all spent time in the Calais camp before coming to the North West of England. 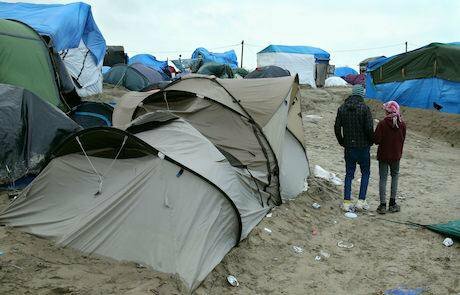 Many spent several months surviving in Calais on their own. Some experienced the French security operation in October 2016 to clear the camp – proving in their minds that they could not safely claim asylum in France. Some have been street homeless in Paris. Five were accidentally separated from family members in the chaos of travelling across Europe, including one who became lost during police action to clear a train. One of our caseworkers described two brothers she is representing as "emotionally worn down" by their experiences in Calais which are "etched on their faces". Five of the children were accidently separated from family members in the chaos of travelling across Europe, including one who became lost during police action to clear a train. Like over a third of the children in our research who came from Calais on a lorry, Jamal's age was disbelieved by the Home Office. Financial strain was a primary concern for 44% of the Dublin III families in our research and clearly escalates the risk of the family breaking down. Our work with children from Calais has left us in no doubt of the need for children to be protected from harm and exploitation by safe and legal routes to claim asylum in the UK. We also believe that all children claiming asylum in the UK need to be properly supported and have access to an experienced immigration lawyer to make their asylum claim. Without these things, children will continue to arrive in the UK with their experiences "etched on their faces" and without the assistance they so badly need to help them recover. This article is based on research in a Briefing paper on the experiences of children from the Calais camp in the North West of England by Greater Manchester Immigration Aid Unit.